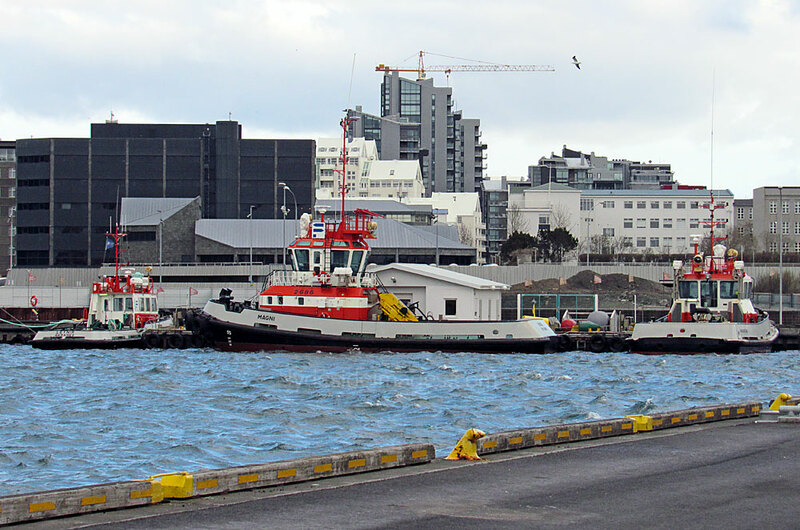 North of Geirsgata, the busy dual carriageway which runs parallel to the shoreline, Reykjavik Harbour is built on reclaimed land - the beach where foreign vessels once discharged their cargoes is now well inland from here. 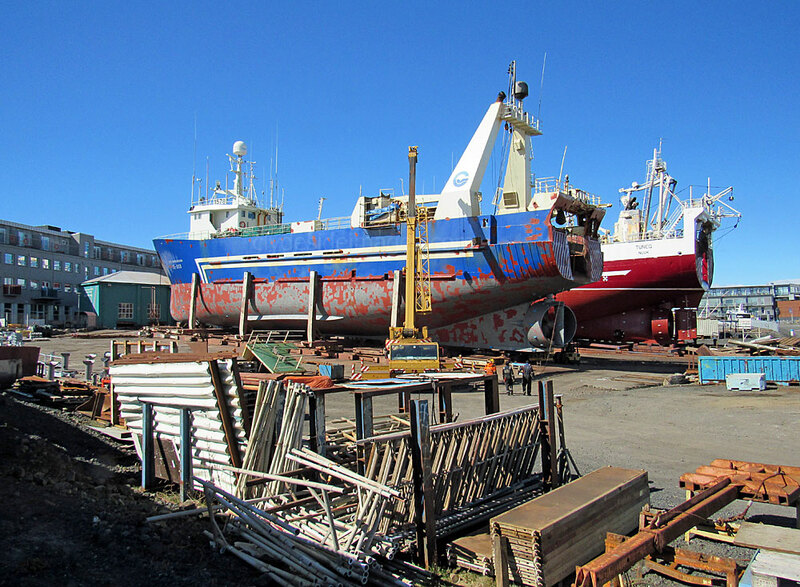 Street names close to the waterfront reflect the importance of the sea to the city, while a stroll along the dockside reveals trawlers being readied for their next battle with the turbulent Atlantic. Plastic crates with ice- packed cod await distribution to various communities dotted throughout the country. 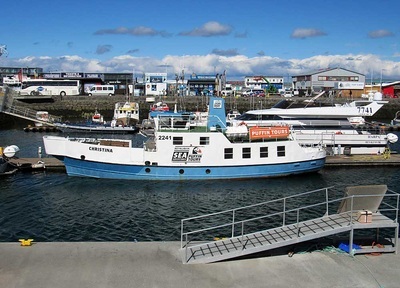 The harbour also receives a wide variety of merchantmen and cruise ships call in during the summer months. 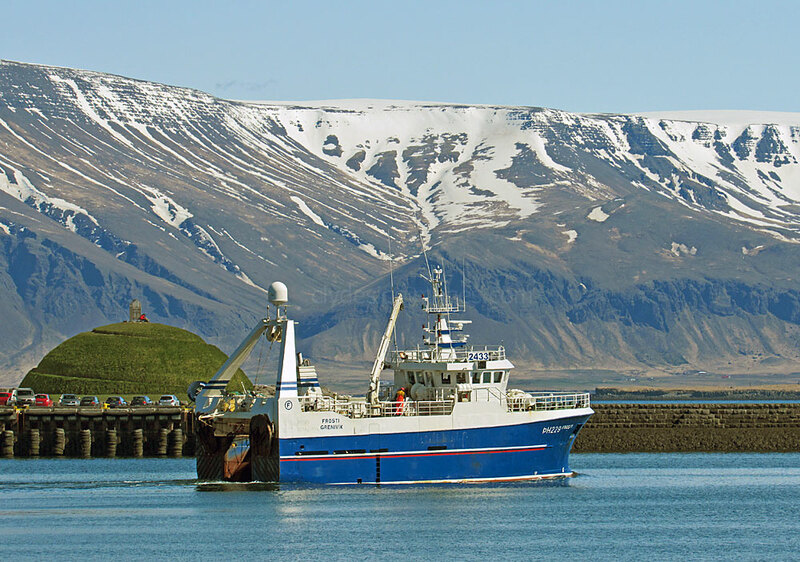 The Icelandic Coastguard are based here and at least one of the fleet can usually be seen here between patrols. 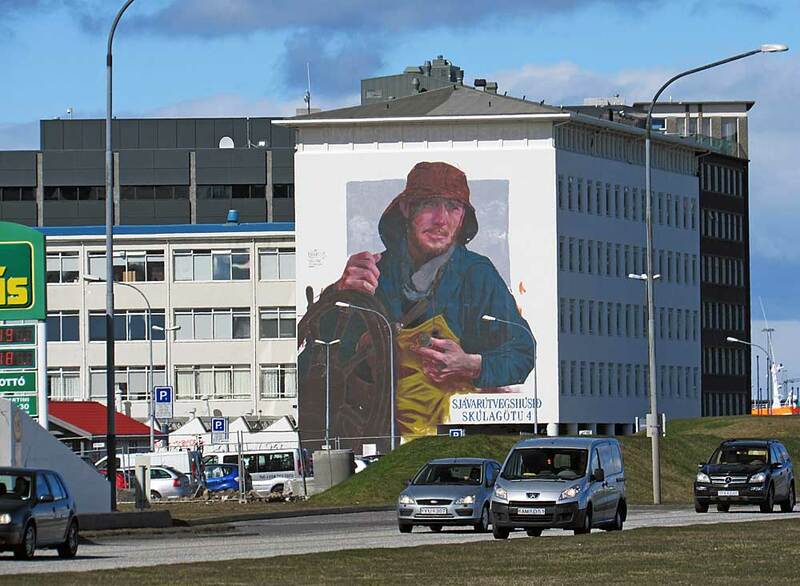 Large scale murals, including these two adjacent to the waterfront adorn the exterior of many of Reykjavik's buildings. The name of this sculpture in Icelandic is "Horft Til Hafs" (Facing the Sea). 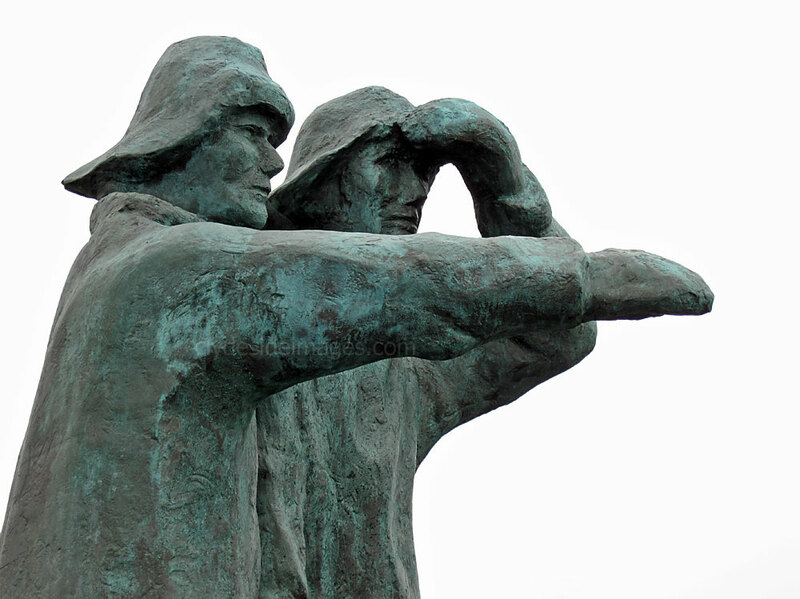 It depicts two fishermen wearing cold water fishing gear looking northward over the ocean. The fisherman on the left has his hand on his hat as if holding it down against the wind. 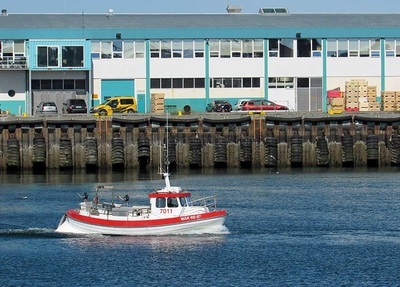 The fisherman on the right is pointing out to sea with his right hand. The statue was created by Ingi Th. Gíslason and unveiled in 1997. 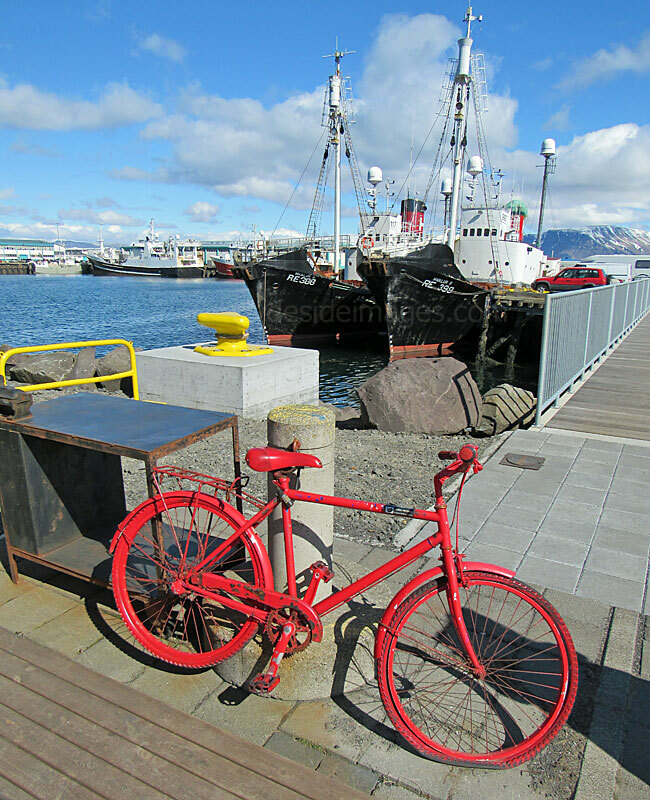 It is meant to remind the citizens of Reykjavik that it was originally the country`s fishermen who were responsible for the prosperity that transformed Reykjavik from a town into a city. 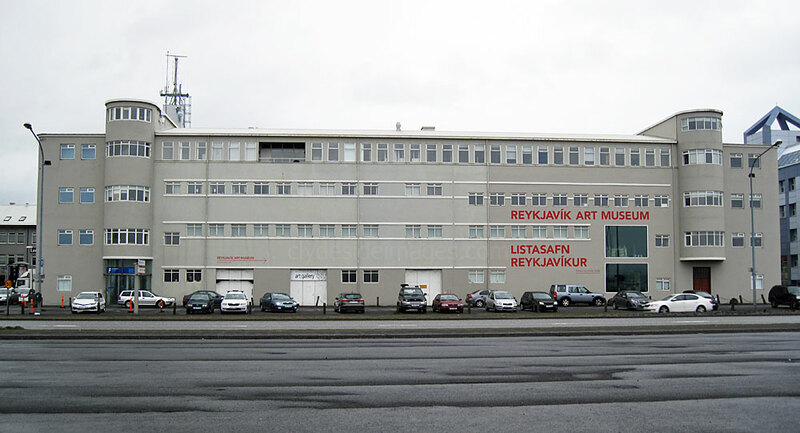 Founded in 1973, the Reykjavik Art Museum owns the largest art collection in Iceland and regularly exhibits work from home grown and international artists. 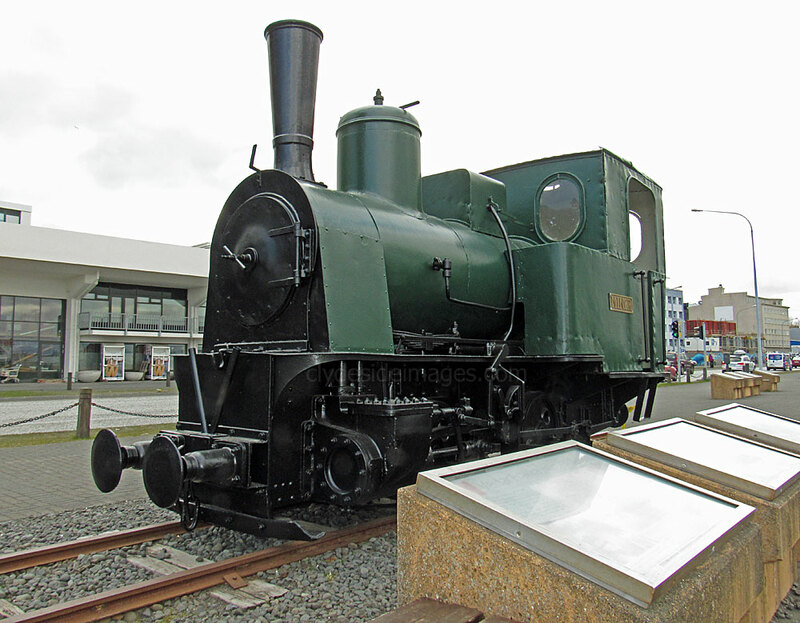 The locomotive `Minør` on display near the waterfront is one of two 900mm gauge Jung machines built in 1892, the other being `Pionér`. 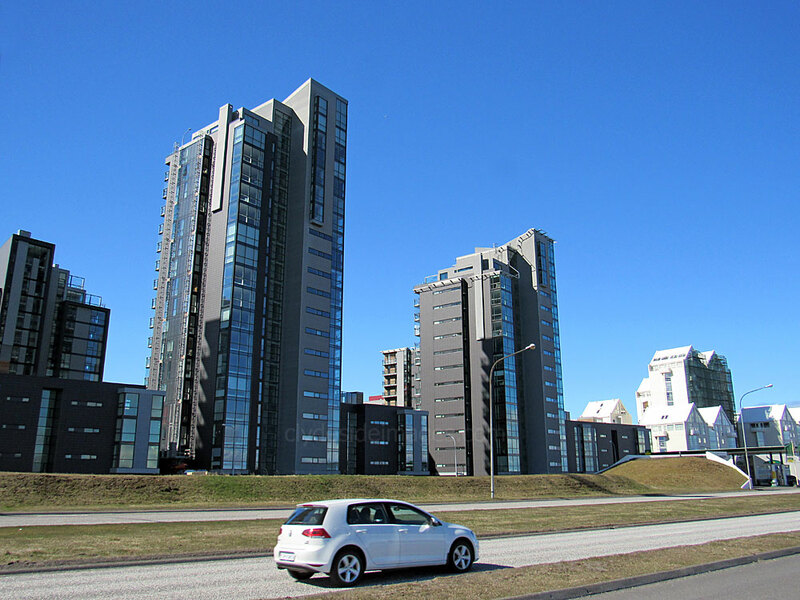 Both were originally supplied to an industrial site in Rostock, Germany, and later operated in Copenhagen. 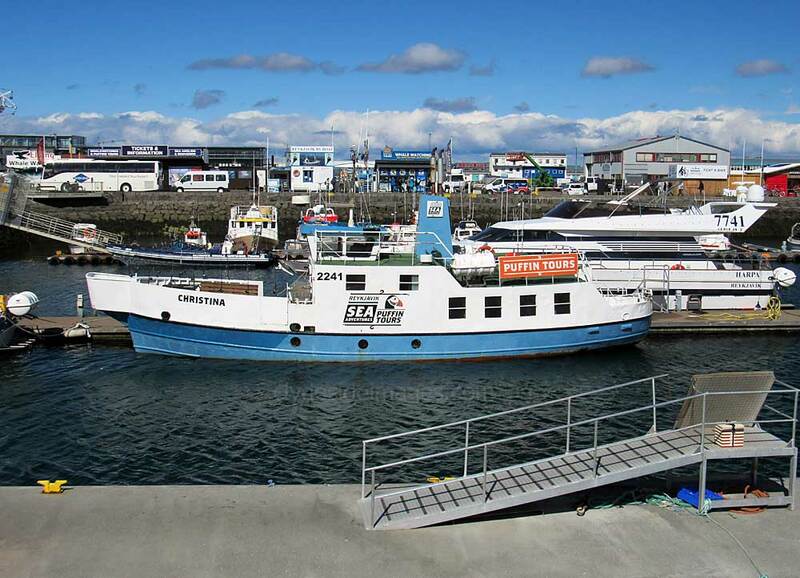 The Reykjavik Harbour Railway (the first railway in Iceland) was built in 1913 to carry stone from from quarries to the south of the city for the construction of the breakwaters at Reykjavik harbour and the locos were purchased and brought to Reykjavik that year. The harbour was completed in 1918 but the railway continued to operate on a limited scale until it was closed in 1928. 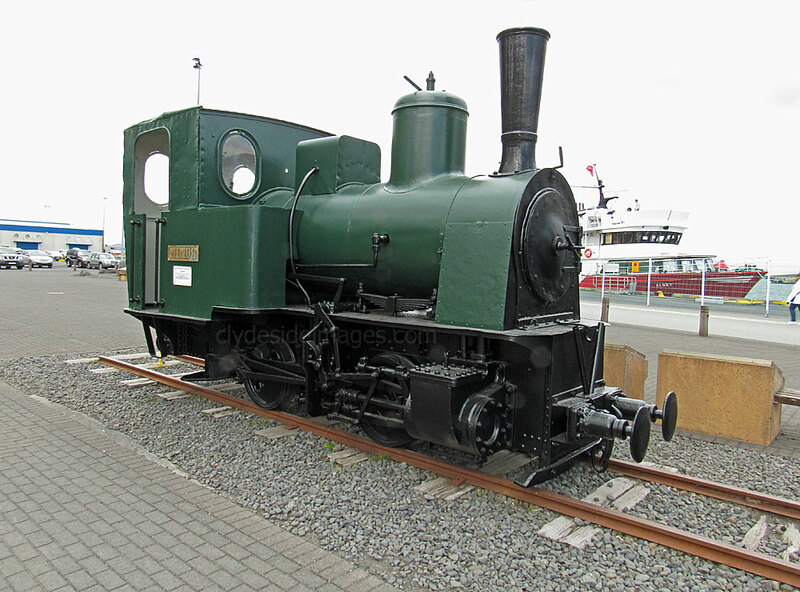 Minør now stands on a short length of track at the southernmost corner of the harbour, on the site of one of the original lines, surrounded by a display of old photos of the harbour, some of which show the railway and the locos in action. 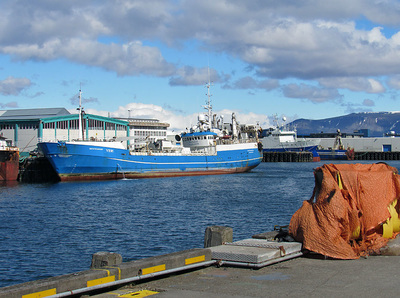 Pionér is at the Árbær Museum on the eastern side of the city. These were the only steam locos ever to run in Iceland which must be the only country in the world to have preserved 100% of its steam fleet for posterity! 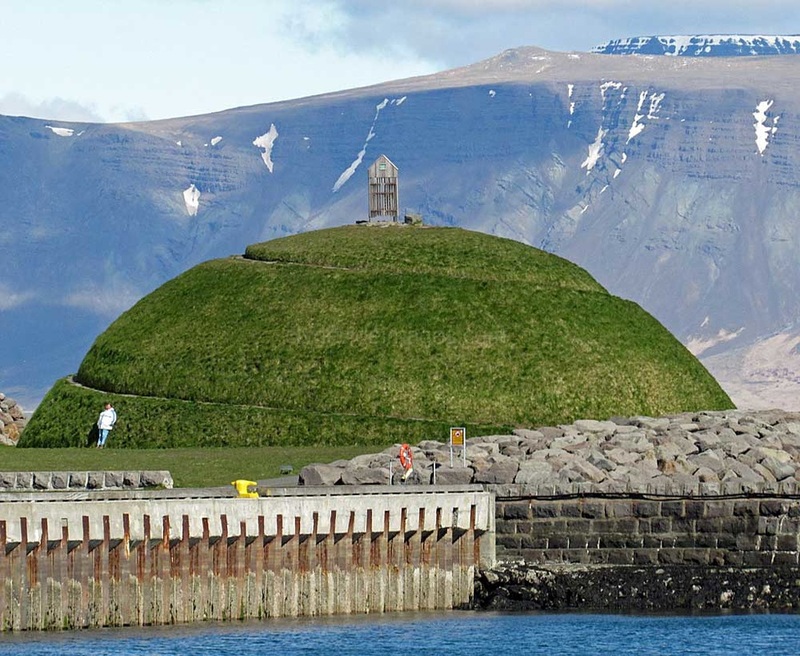 "Minør" is kept indoors during the winter and is inaccessible during this time. Iceland's only other railway was the Kárahnjúkar Light Railway, a diesel-operated line built in the early 2000's for construction work on a large hydro-electric power project in the east of the country. As far as I`m aware, much of the railway equipment has since returned to Italy from which it had been leased. 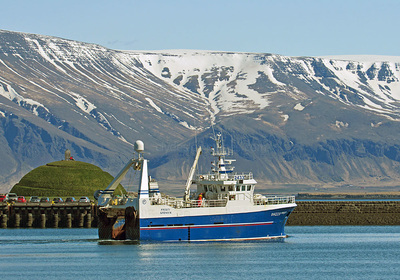 Hvalfjordur was a major commercial whaling centre from from 1948 until 1989 when specially-equipped ships harpooned Fin, Sei and Sperm Whales in the deep waters off the west coast of Iceland and towed them back to the processing station. 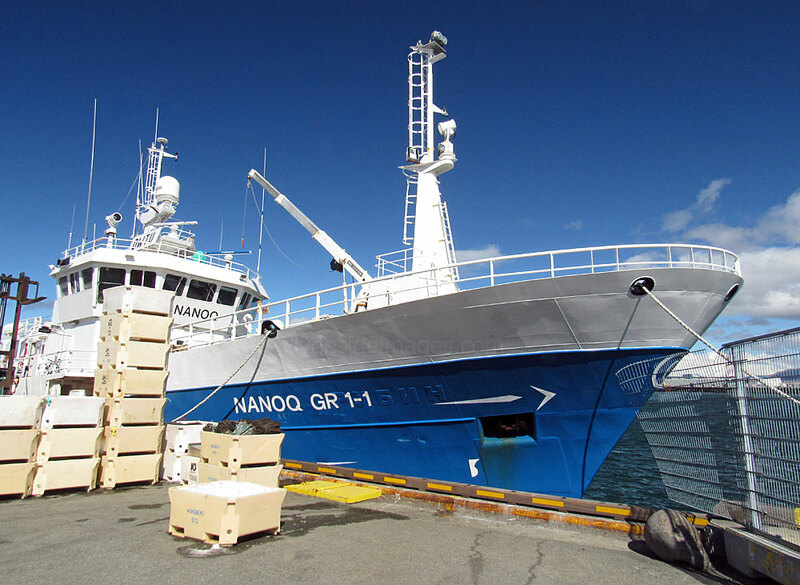 Minke Whales were also caught by local fishing boats. 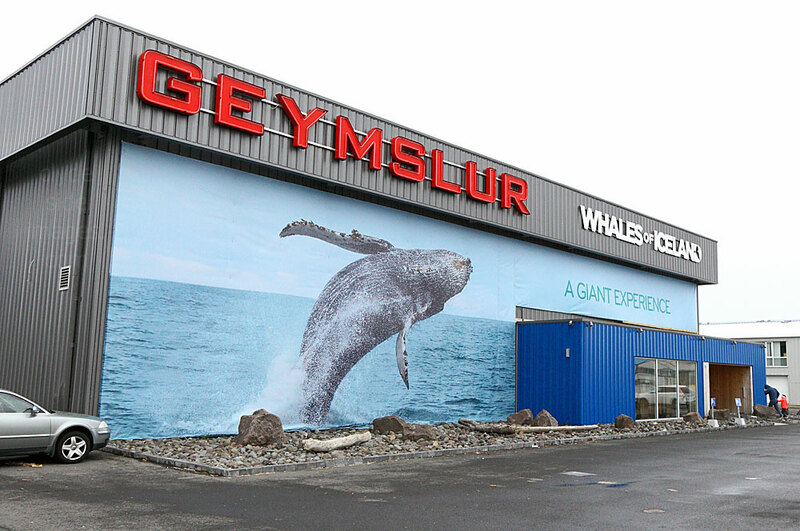 Bizarrely, Reykjavik is one of the few places in the world where Whale Watching cruises are advertised beside whaling ships. The city stands on the edge of ​Faxafloi bay whose waters are renowned for the high density of Minke Whales. 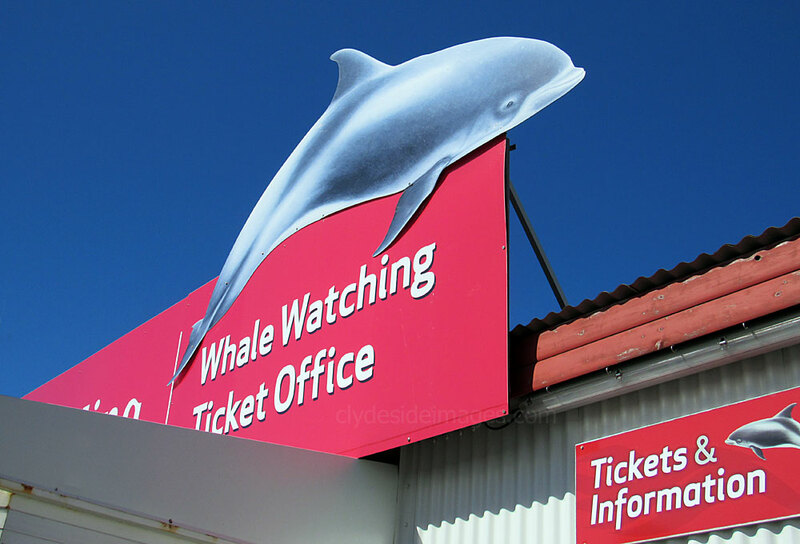 Consequently much of it has now been placed out of bounds to the whalers who often hunt on the edge of the whale watching area. ​It was a very different story in years gone by, however. 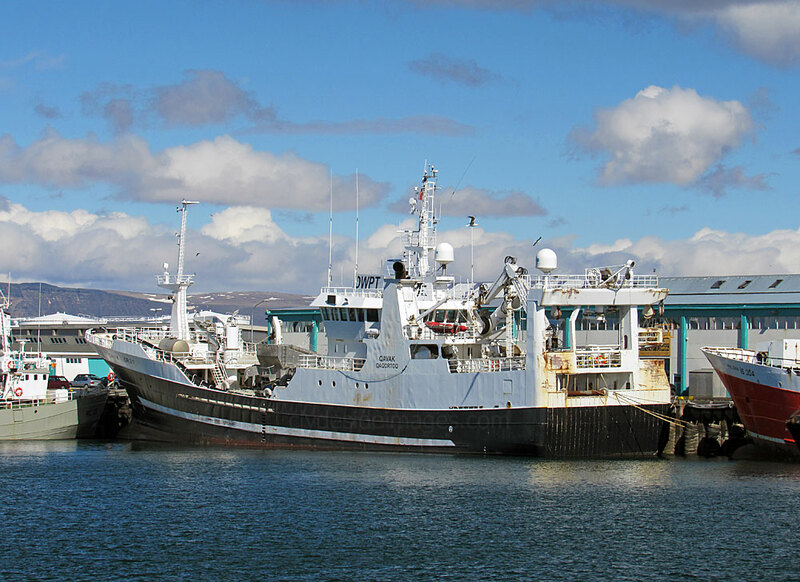 As a member of the International Whaling Commission, Iceland considered that restrictions imposed by the organisation were too severe and the country withdrew its membership in 1992. In March 1999, after much debate, the Icelandic parliament announced their intention to resume unrestricted whaling but continual international pressure, including a boycott of Icelandic seafood, caused a rethink and in October 2002, Iceland was readmitted to the IWC, agreeing to return to commercial whaling within the set boundaries. 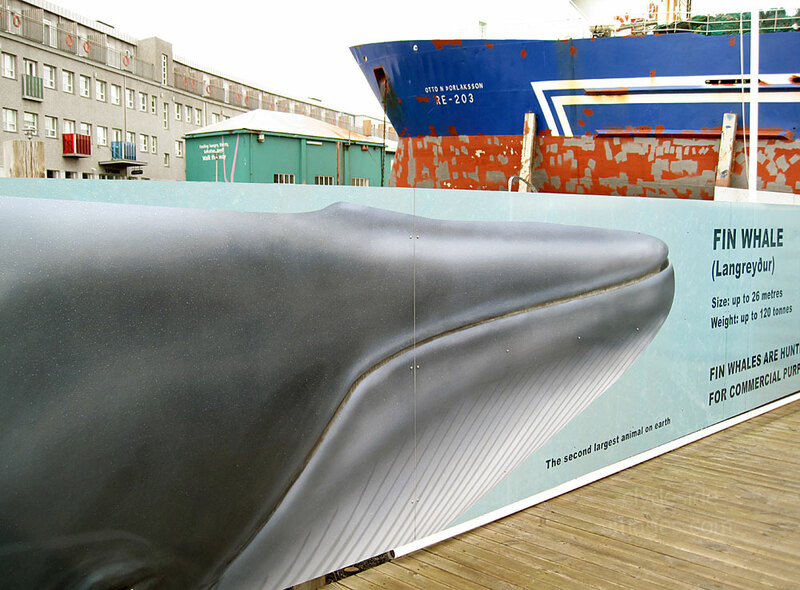 ​Icelandic Whalers have been harvesting Minke Whales again since 2003 with the bulk of the meat being exported to Japan. 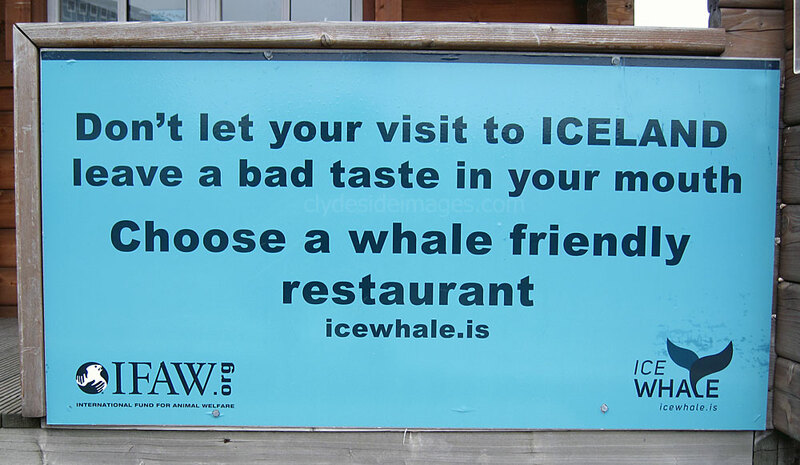 Ironically, 35-40% of Icelandic whale meat consumption is by curious tourists. 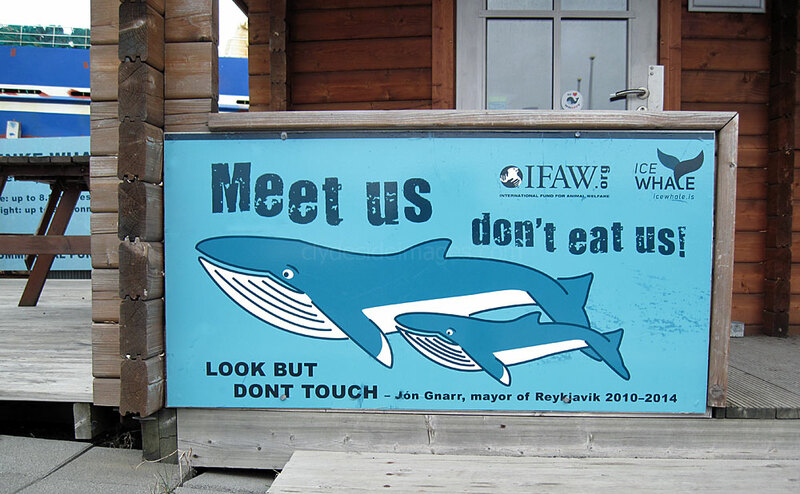 In 2012 the International Fund for Animal Welfare (IFAW) and IceWhale (Icelandic Whale Watching Association) launched a high-profile `Meet Us Don`t Eat Us` campaign to encourage visitors to go whale watching rather than whale scoffing! 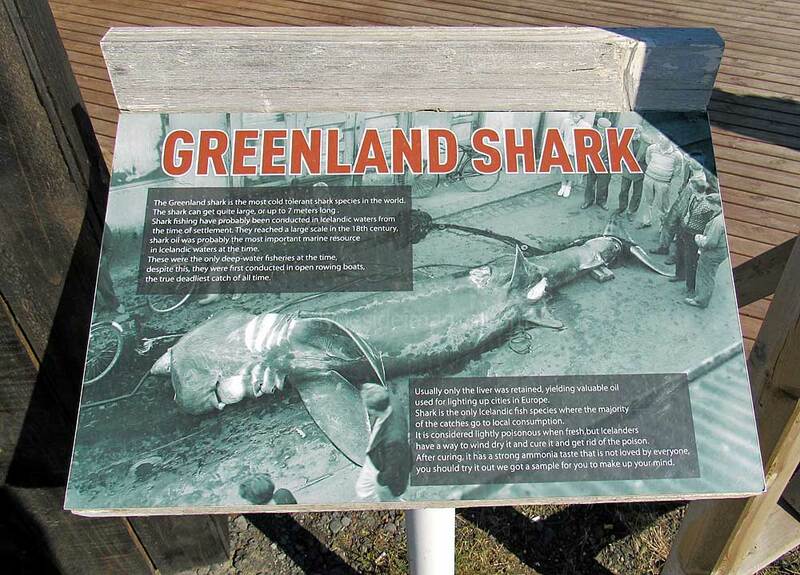 Shark is also on the menu in some places. It`s worth checking out the atmospheric Hamborgarabúllan down by the harbour, which has the reputation of being one of the best burger joints in Europe. 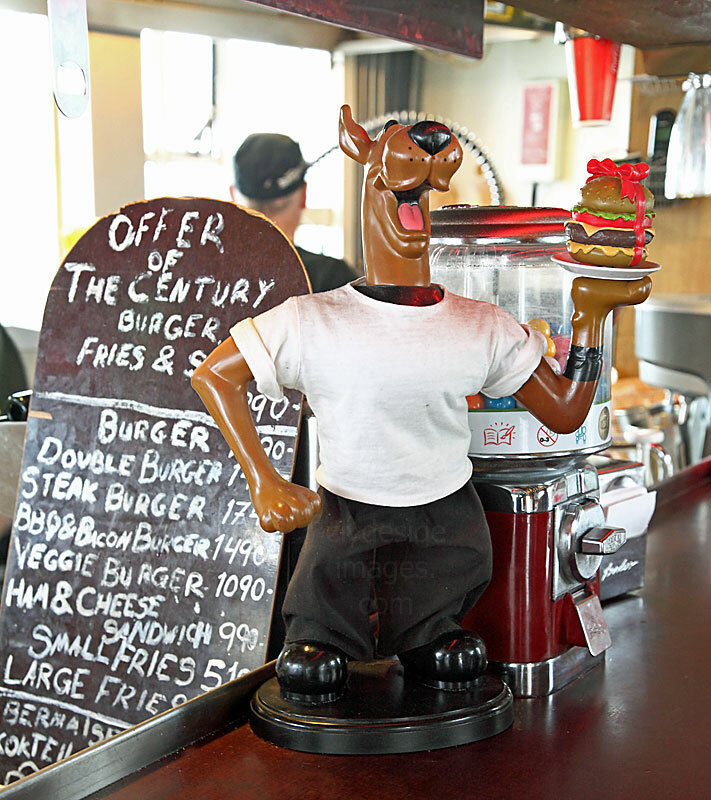 Scooby Doo keeps an eye on things and ensures there`s no whale or puffin on the menu - this place is definitely worth checking-out when you`re in town. 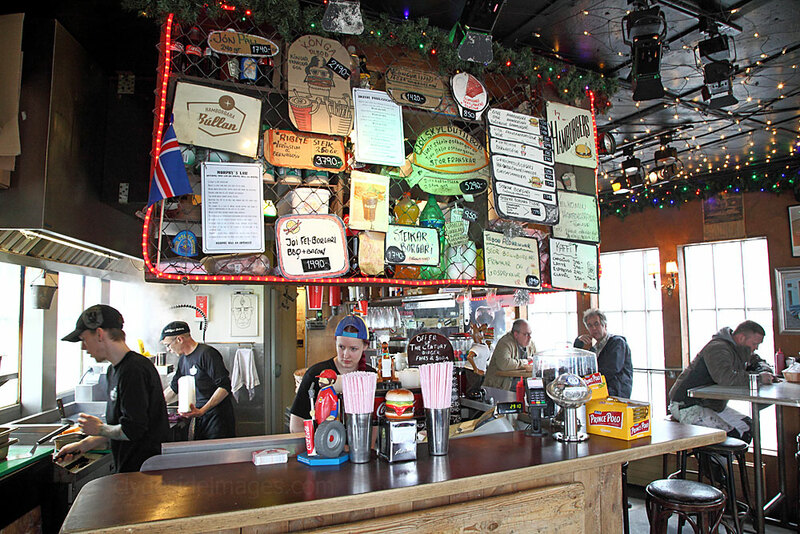 The guy who runs Hamborgarabúllan was supposedly the person responsible for first bringing hamburgers to Iceland, which happened sometime in the 1980s. Personally, I`d have thought the US service personnel stationed at the Keflavik Naval Air Station would have beaten him to it. Base for the first three nights was the Skuggi Hotel close to the main drag and waterfront, just a 15 minute walk away from the harbour. 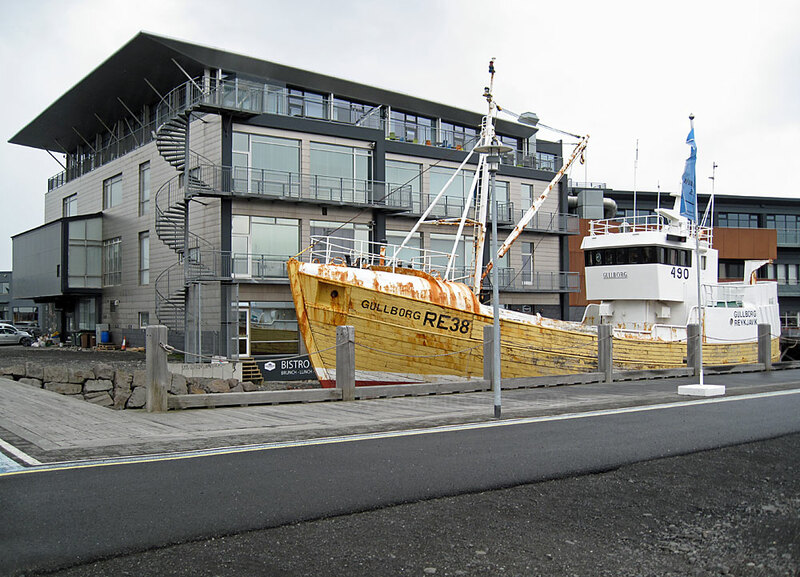 ​Anyone opting for the Icelandair Reykjavik Marina Hotel though should be aware that a sea view room may not live up to expectations - as can be seen above, it`s only a few metres away from the busy fishing boat repair yard and looks as though guests would soon be on first name terms with some of the workers! 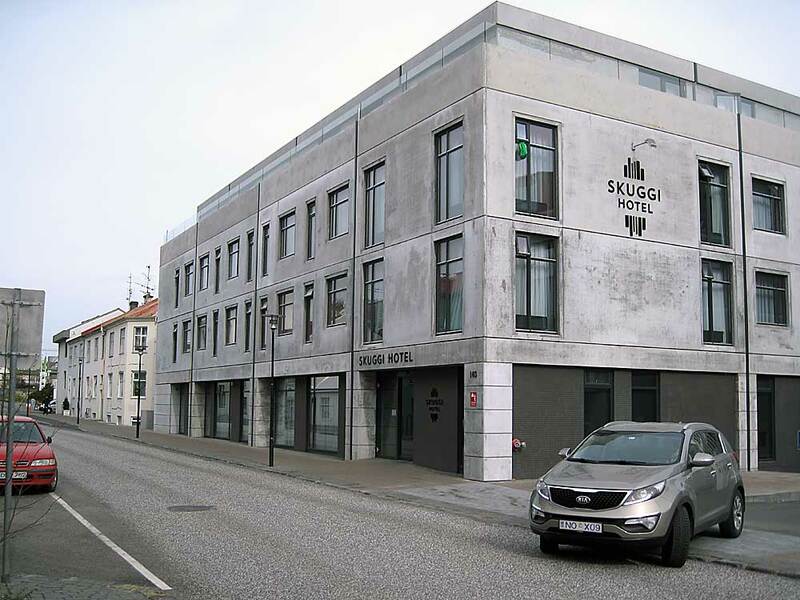 We couldn`t fault the Skuggi, it was clean and comfortable with very helpful staff and, unlike many of the hotels in the country, breakfast was included in the booking price. 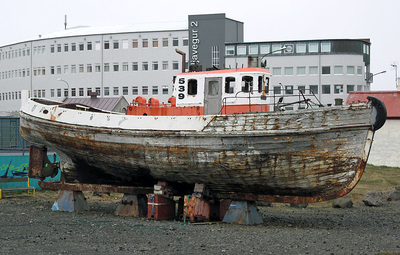 Drofn (RE-35), Greenland`s Qavak and Icelandic Factory Trawler Isbjorn (IS-304). 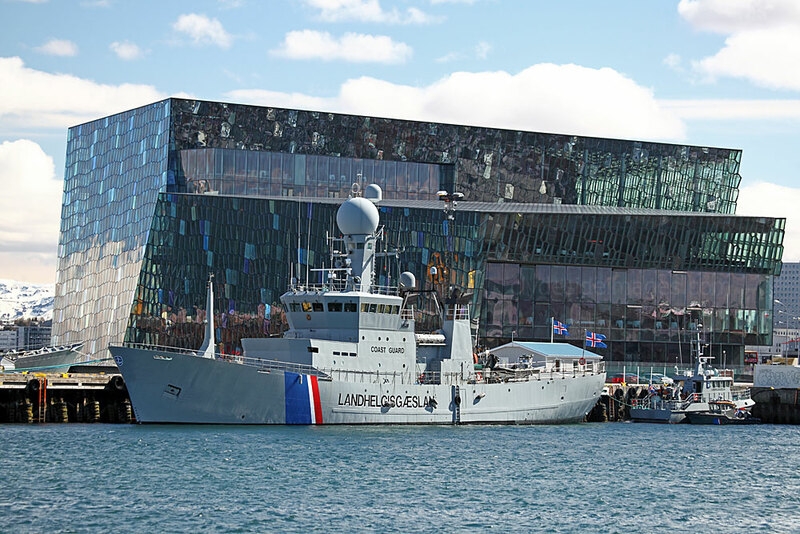 ICGV Ægir ​is an Offshore Patrol Vessel (OPV) of the Icelandic Coast Guard built by Aalborg Værft a/s, in Denmark. 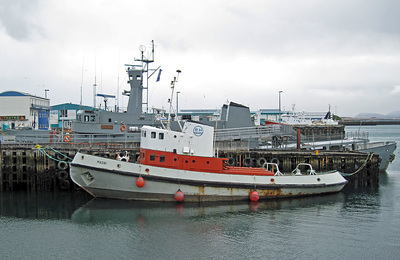 She is the first ship of the Ægir-class and is the sister ship of the slightly improved ICGV Týr. She participated in the two last Cod Wars. In 1990 the original 57mm cannon was replaced with the current Bofors 40 mm gun and a large crane was added in 1994. The flight deck was enlarged in 1997 and in 2005 she was refitted in Poland with a new bridge and improved electronics suite. 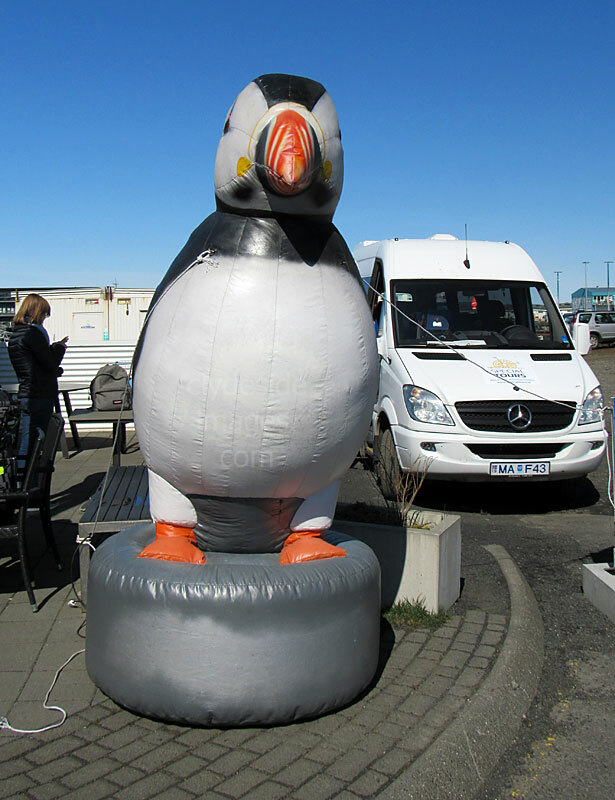 ​The Slysavarnafélagið Landsbjörg was founded in 1999 after merging the Slysavarnafélag Íslands (National Life-saving Association of Iceland) and Landsbjörg (Association of Rescue Teams) and has responsibility for all rescue operations in Iceland. 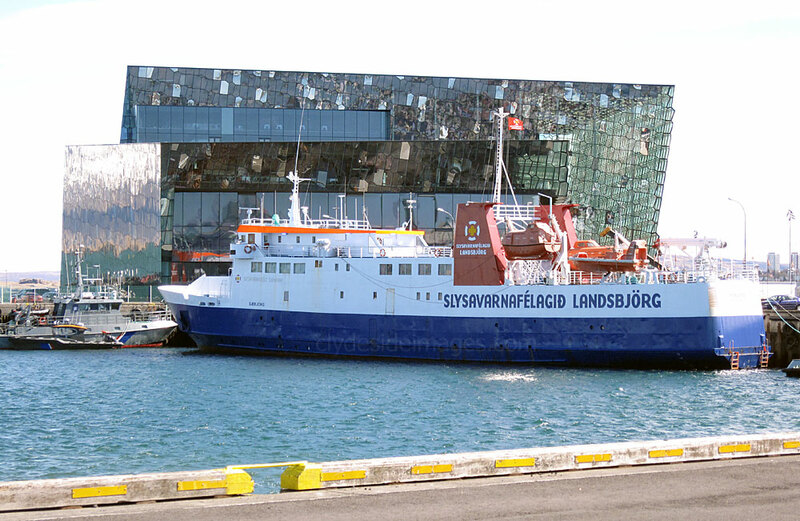 The Slysavarnafélagið Landsbjörg (ICE-SAR) is divided into both land and sea rescue teams and operates MRCC Reykjavík. 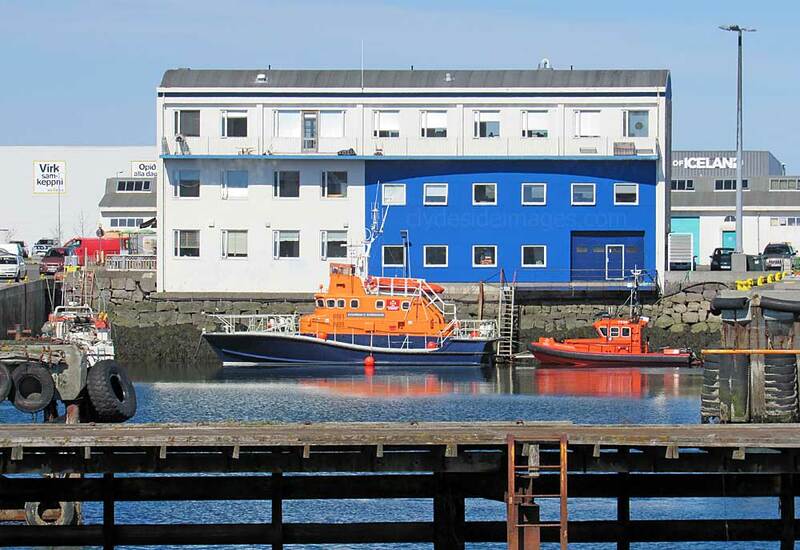 It also owns and operates the only sea survival training centre in Iceland, the Maritime Safety and Survival Training Centre which is held onboard the Training Vessel Saebjorg. 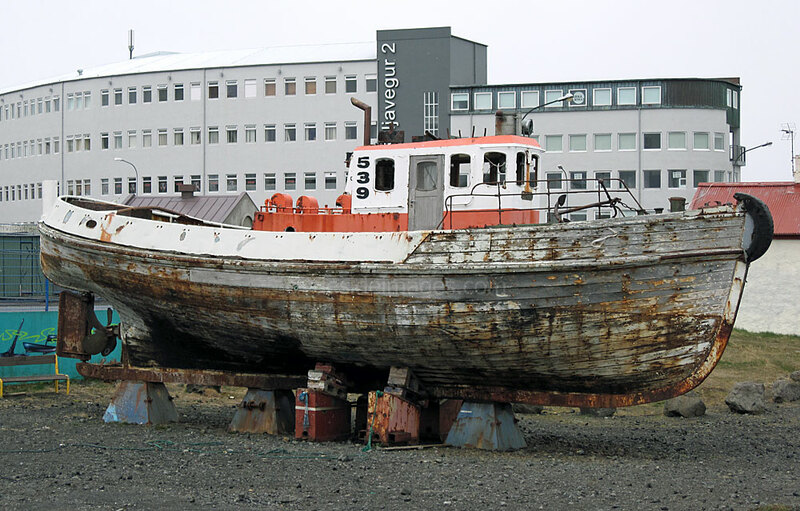 Every year around 1200-1500 Icelandic seafarers attend courses here. 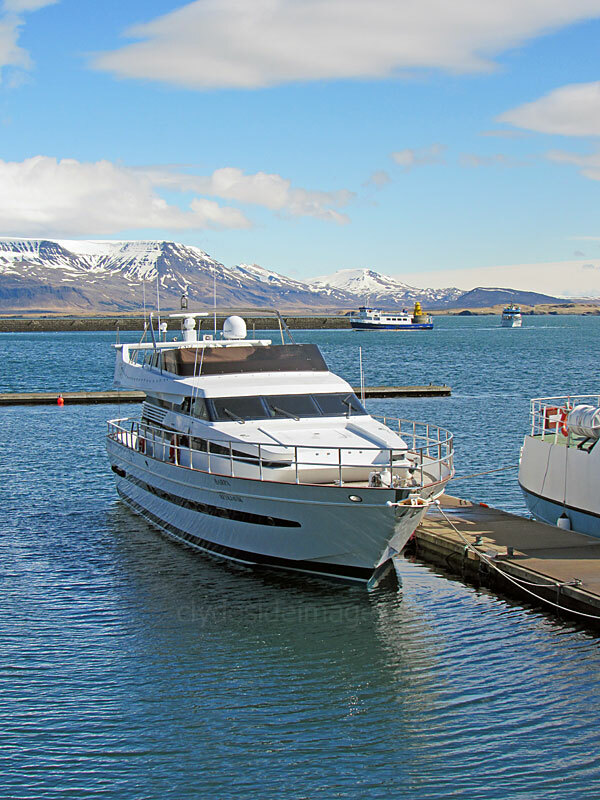 ICE-SAR has a fleet of 14 all weather lifeboats, 35 FRC and 95 rescue boats based at various locations around the Icelandic coast. Asgrimur S. Bjornsson is a former RNLI Arun-class lifeboat, the Soldian (52-10), which was stationed in Lerwick, capital of the Shetland Islands, from 1978-1997. She was purchased by ICE-SAR from the RNLI in 2002 and on arrival she replaced the former Clyde-class lifeboat Grace Patterson Ritchie which served in Iceland as Henry A Halfdansson. 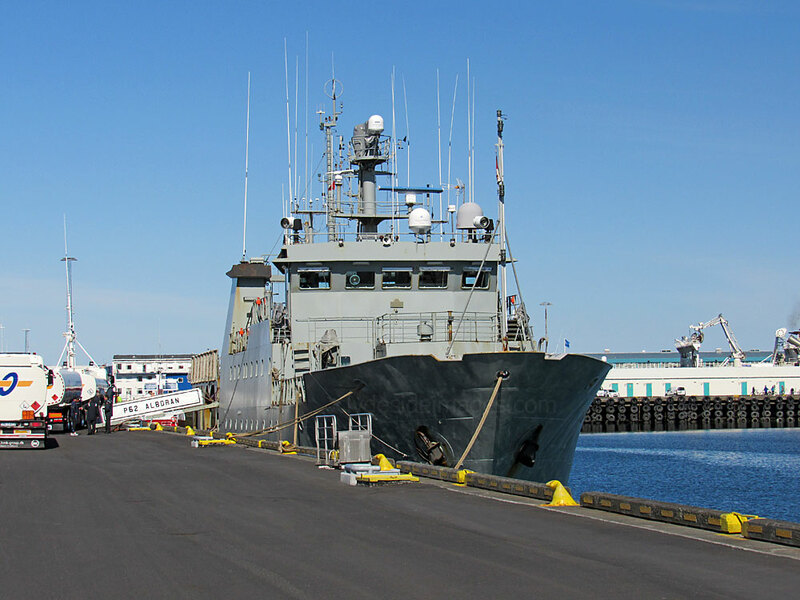 A surprise visitor, photographed on Monday 9 May, was EPS Alborán (P62) of the Spanish Navy. The 66metre-long Chilreu-class Offshore Patrol Boat has her home port in Cartagena, Murcia, and is assigned to the Maritime Action Force. 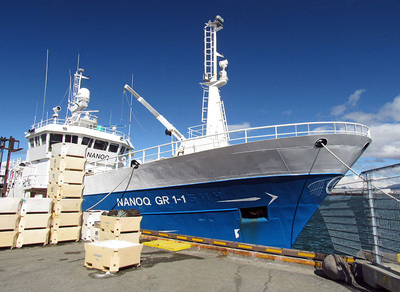 Her main roles are maritime surveillance and fisheries protection. She is equipped with 2 Browning 12.7 mm machine-guns and 1 MG-42 (7.62 mm) with a flight deck able to accommodate light helicopters such as the Spanish Navy's Agusta Bell AB-212 ASWs or armed reconnaissance OH-6Ms (MD 500s). 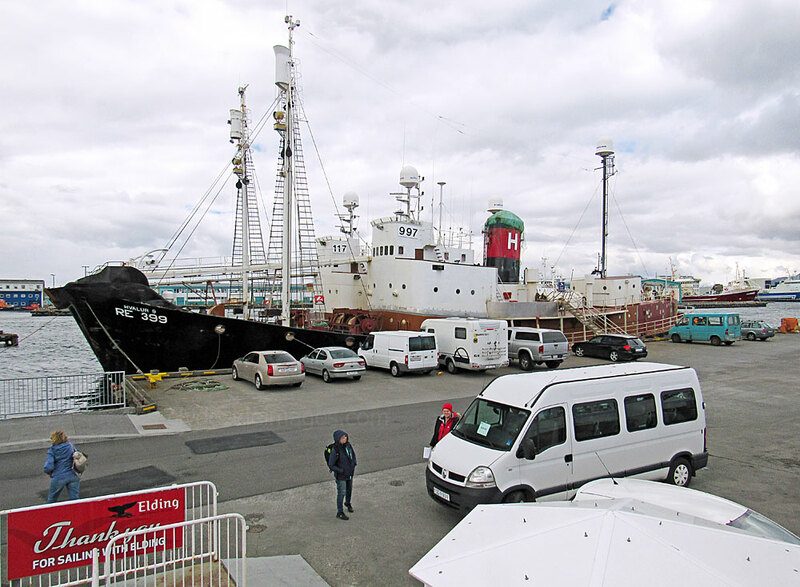 Also at the harbour are the Whales of Iceland Museum and the Reykjavik Maritime Museum. 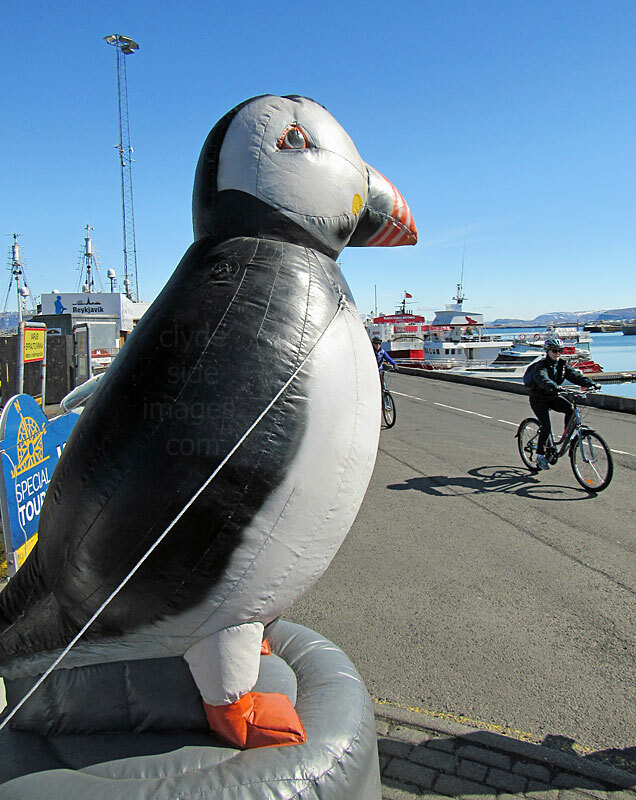 Don`t mess with the local Puffins - they`re huge! 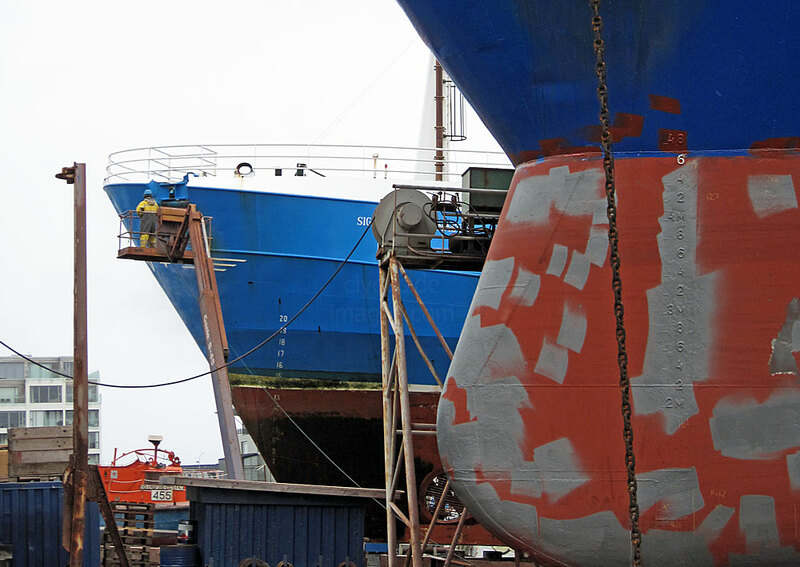 Stenheim (above) is an oil/chemical products tanker built in 2003 by the Jiangnan Shipyard Group in Shanghai, China. 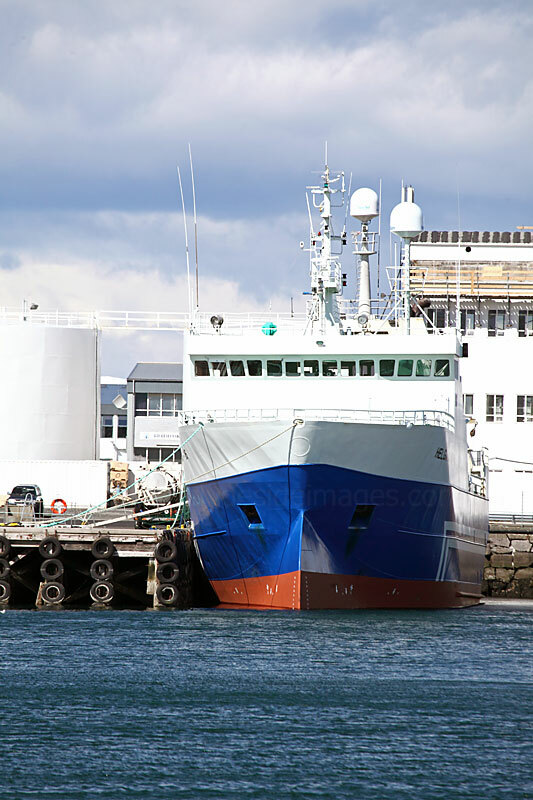 She currently sails under the flag of Gibraltar and is owned by managed by Bergen-based Stenersen Redereit. 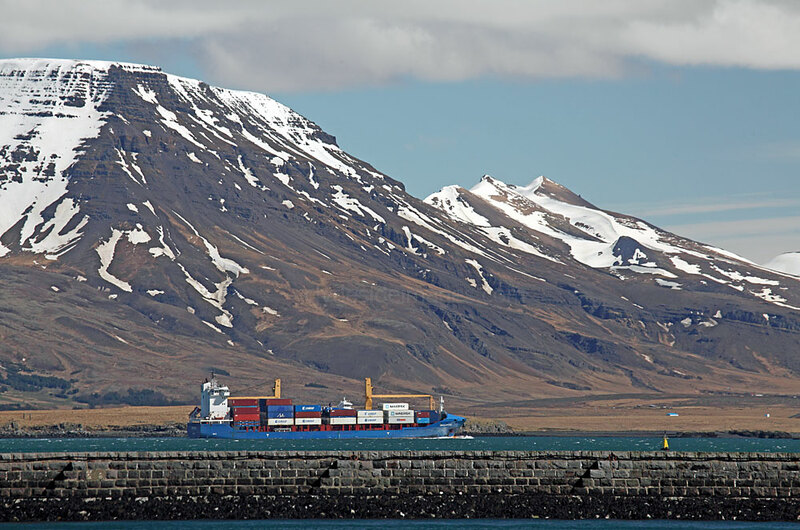 Skogafoss is pictured below making her way eastwards along the coast to Reykjavik`s main container port. 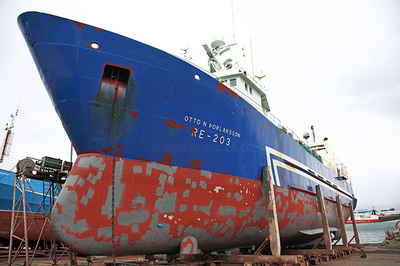 She`s a Chinese built ship and dates from 2007, initially named Ice Bird until July 2011 when she received her current identity. 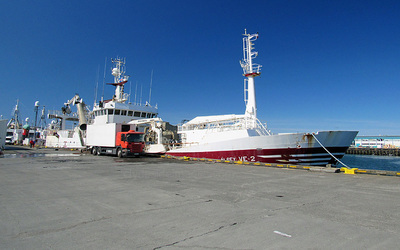 She`s owned and managed by a German company and sails under the colours of Antigua & Barbuda.